Carolyn Sue Koontz, 69, of Bowling Green, Ohio passed away Tuesday November 13, 2018. She was born March 11, 1949 in Toledo, Ohio to Richard Sr. and Virginia (Hartman) Koontz. Carolyn worked for several years as a cook for Bowling Green State University Food Service and at the Wood County Jail. In her younger years she loved spending time fishing. 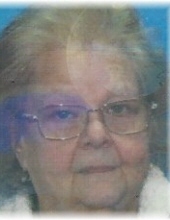 She was an avid crocheter, and enjoyed going to the casino to gamble and going out to eat with her friends and family. She is survived by her brother Richard Jr. (Rosie) Koontz, of Bowling Green, Ohio, sisters Jean Lawson of Texas and Jill (Alan) Hager of Michigan, daughter-in-law Janet Koontz of Bowling Green, Ohio and ex-husband Timothy Lindamuth. Services for Carolyn will be private for her family. Arrangements have been entrusted to Dunn Funeral Home, located in the Historical District of Bowling Green at 408 W. Wooster St.
To send flowers or a remembrance gift to the family of Carolyn Sue Koontz, please visit our Tribute Store. "Email Address" would like to share the life celebration of Carolyn Sue Koontz. Click on the "link" to go to share a favorite memory or leave a condolence message for the family.